Today we took a stand at Local Flavours at the Norfolk Showground. 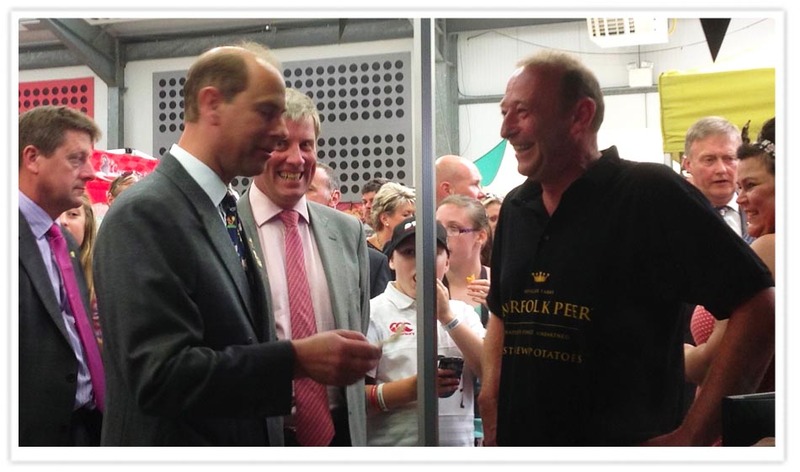 The trade event was designed to showcase the very best of regional food and drink products. 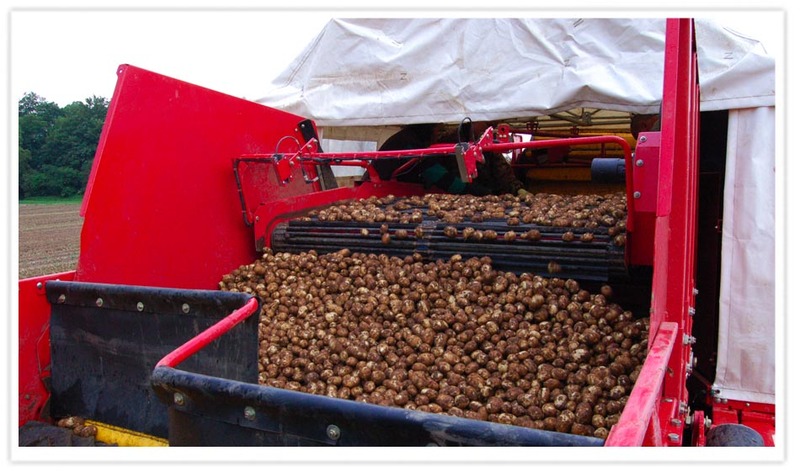 Visitors could learn about what makes our Norfolk potatoes so special and were also able to taste freshly steamed samples. 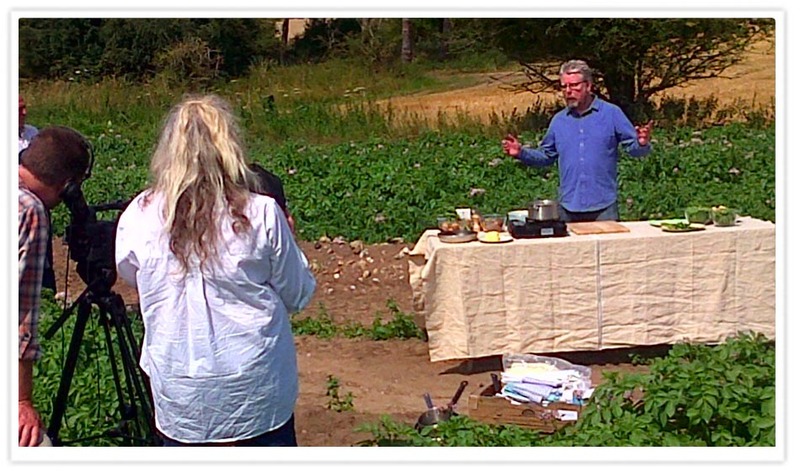 Today we spent a hot day in Norfolk Peer field 'Ellis Broom' with chef Richard Hughes and Mustard TV, to film 'A Taste of Norfolk'. 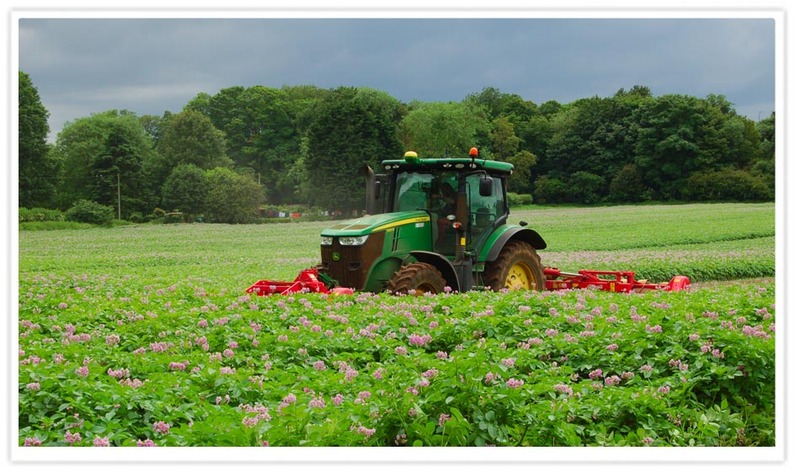 The programme, due to be screened in August, shows Richard Hughes talking with Farm Manager William Gribbon about what makes Norfolk Peer new potatoes so special, and Richard then cooks lunch for William in the field. 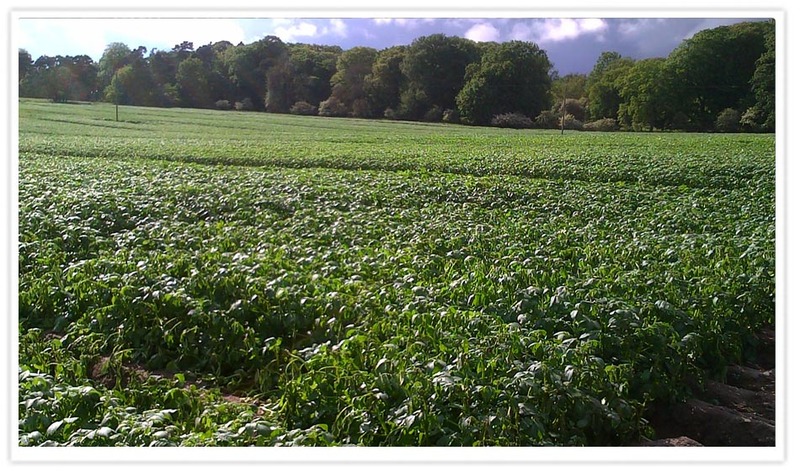 This field of Norfolk Peer is Chalk Road and they are just about ready for harvest. 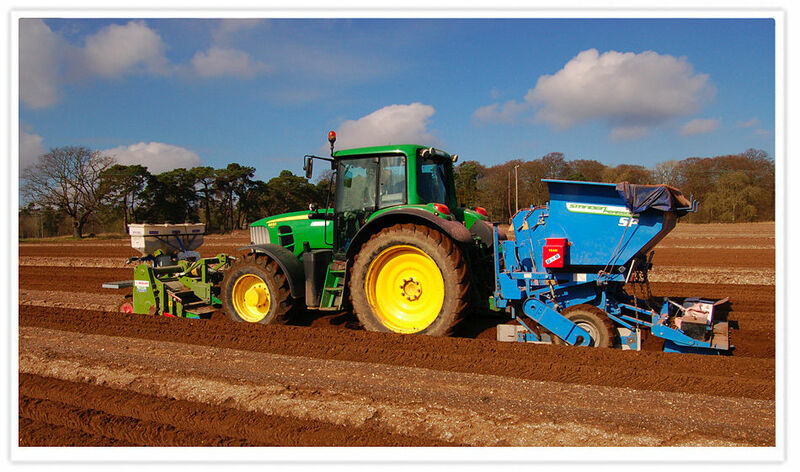 We are still planting potatoes to ensure we have fresh crop to harvest daily right through to the end of September. And here they are. 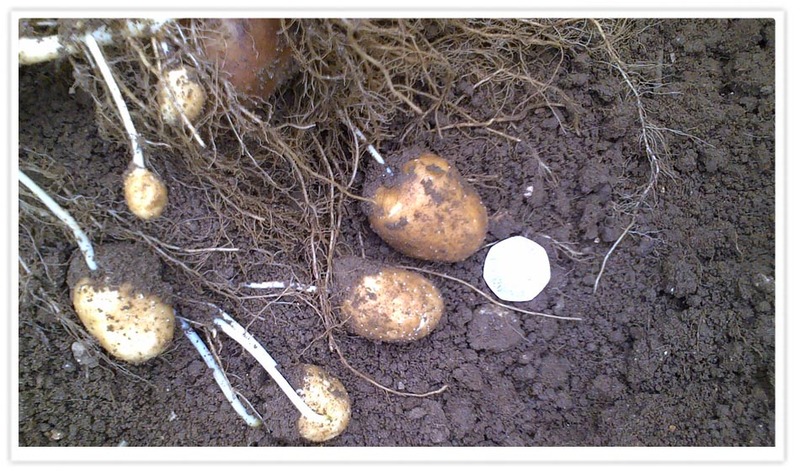 The first sight of our new season Norfolk Peer new potatoes. In Tesco East Anglian stores from Monday. Go and try some and enjoy the taste of summer with us. 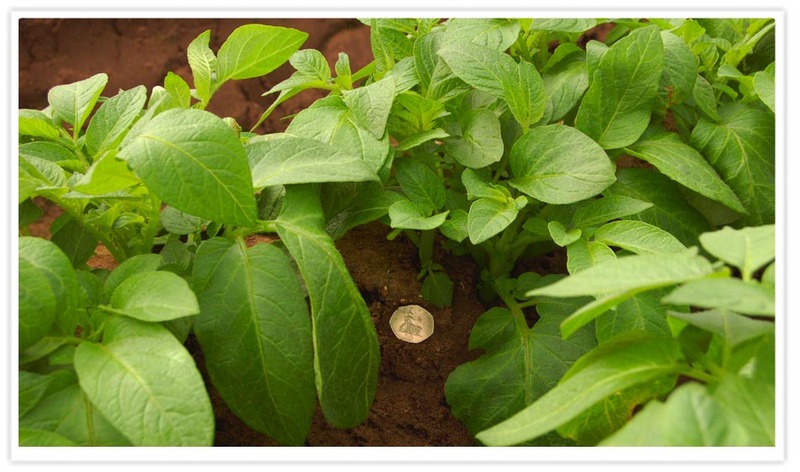 June 7, 2014 - Norfolk Peer new potatoes are go! Its that time of year again and to welcome the start of summer we have two English summer traditions; Norfolk Peer new potatoes and a thunderstorm! We are up early. 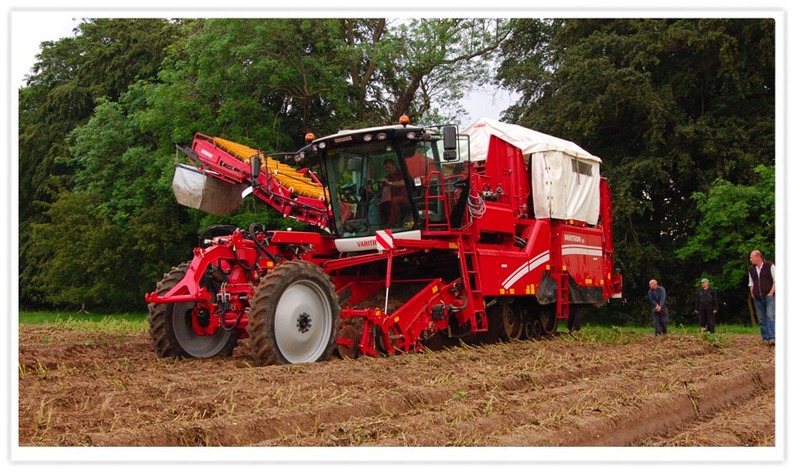 Its 6.30 am and the harvester starts to roll. 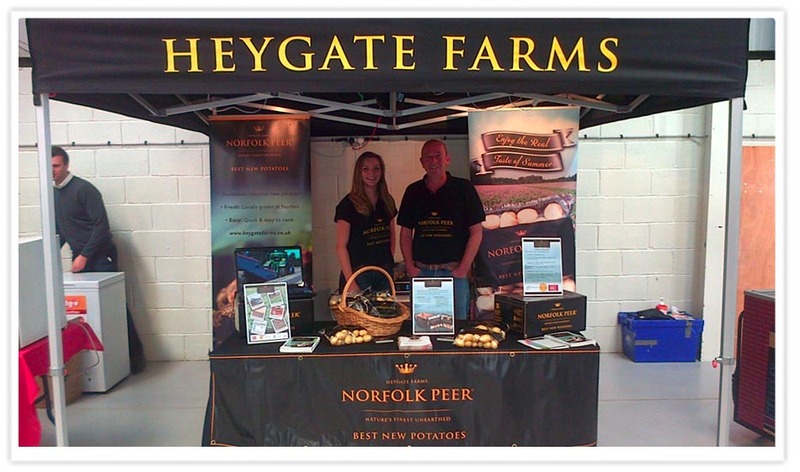 They are in Tesco stores from Monday, so go and try some and enjoy Norfolk Peer new potatoes - the taste of summer. The harvester will be back in the Norfolk Peer new potato fields from this weekend, so time for one last look at how the crop is developing. Looking very good is the answer. We can also confirm that they are very tasty, as this lot made it to the steamer in time for tea and they were delicious!. Norfolk Peer new potatoes - the taste of summer. The first field of Norfolk Peer new potatoes are just about ready, so we are taking the tops off to stop the potatoes growing too big. The first of the new season crop will be in Tesco stores from Monday and we should be lifting, washing and packing into 10 kg boxes during next week. 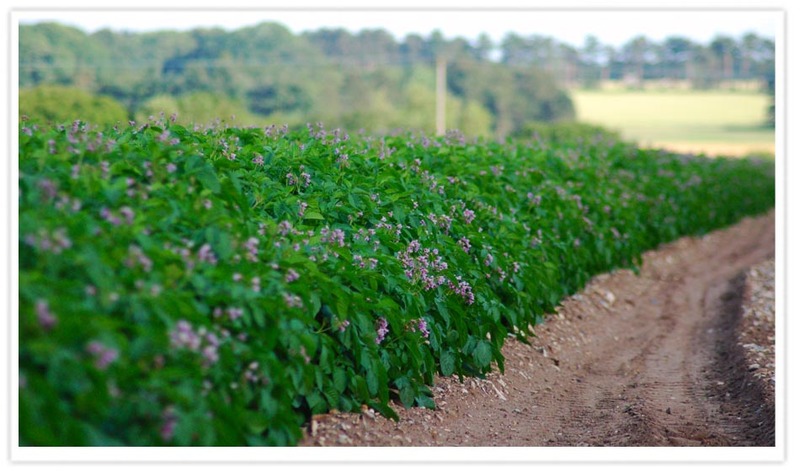 Our Norfolk Peer new potatoes are growing fast with the warm temperatures. 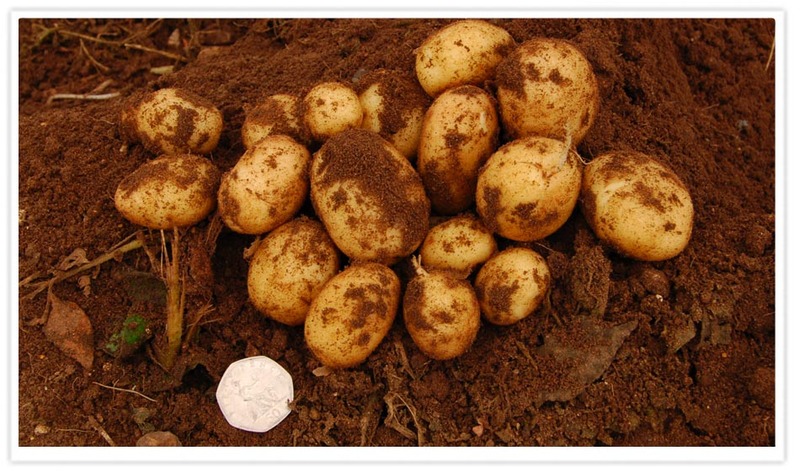 We are expecting that Norfolk Peer new potatoes will be in retail stores on Monday June 9 and available in our 10 kg boxes the following week. May 12, 2014 - The Fleece is off! The Norfolk Peer new potato crop has being doing so well, that today we removed the fleece to allow the crop to develop in the late spring sunshine. WIth warmer weather forecast in a day or so, growth should be fast from now on. April 28, 2014 - Norfolk Peer developing nicely. The Norfolk Peer new potato canopy is filling out under the protection of the fleece. We have been irrigating the crop this week as we have had very little rain for some time now and potatoes are a thirsty crop. April 10, 2014 - Hello world! Norfolk Peer is born. 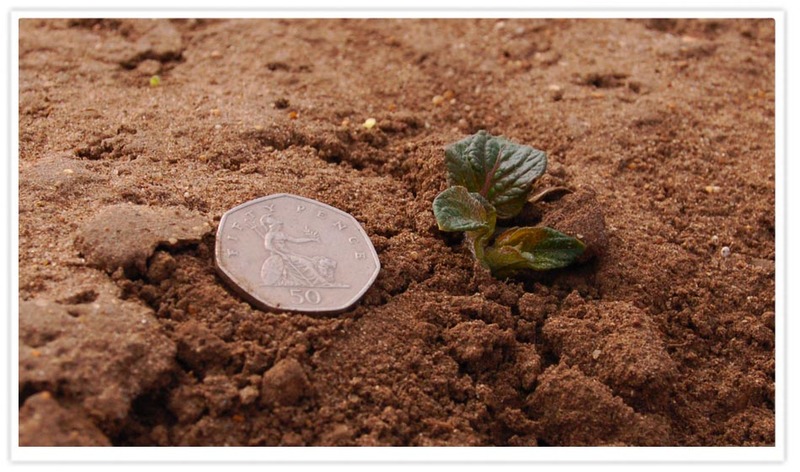 Norfolk Peer new potatoes are poking their head up above the soil at last! A good two weeks earlier than last year we reckon. The warm weather and the protection of the fleece has done its job. Daytime temperatures have been around 17°C lately and as long as the frosts stay away, growth should be fast from this point on and we should be harvesting in early June. Spring is teasing us with an early appearance this year. It was up to 19°C just two days ago but there is still time for some winter yet!. 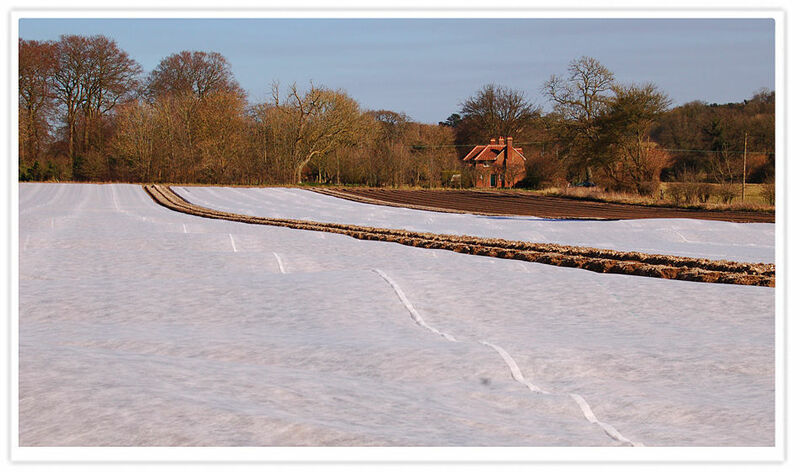 Today we have covered this early planted field of Norfolk Peer new potatoes with protective fleece. This will help to warm the land when it is sunny and keep off the worst of any wind or frost that we are almost certainly going to get in the coming weeks. The mild winter has continued and today we have sunshine and 9°C. The land is ready, so Norfolk Peer planting gets underway. These early plantings will be protected with fleece to keep the seed bed warmer and we will be planting every week right into June, to ensure a continuous supply of delicious new potatoes throughout the summer. We are already dreaming of balmy summer nights, chilled white wine and fresh steaming new potatoes! 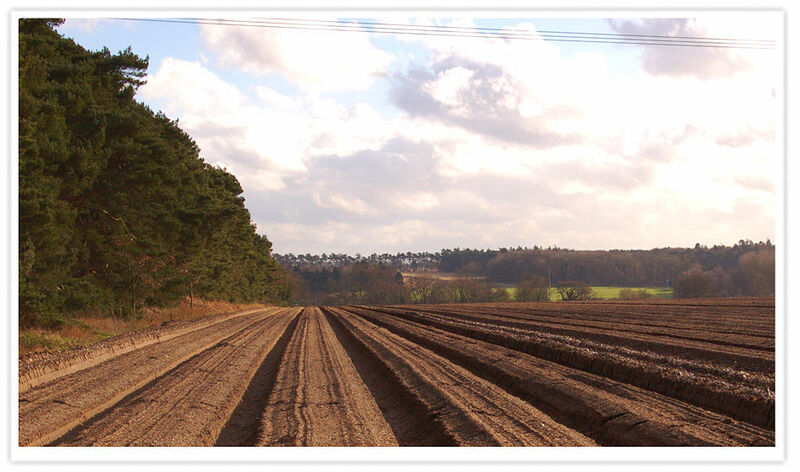 It's early February, a balmy 9°C and the land is prepared ready to - hopefully - start planting our Norfolk Peer new potatoes, towards the end of this month. It's all down to the soil being warm enough and forecasts not predicting any severe weather. We record the rainfall at several points around the farm. This helps us determine how much water the crops need to assist with irrigation. 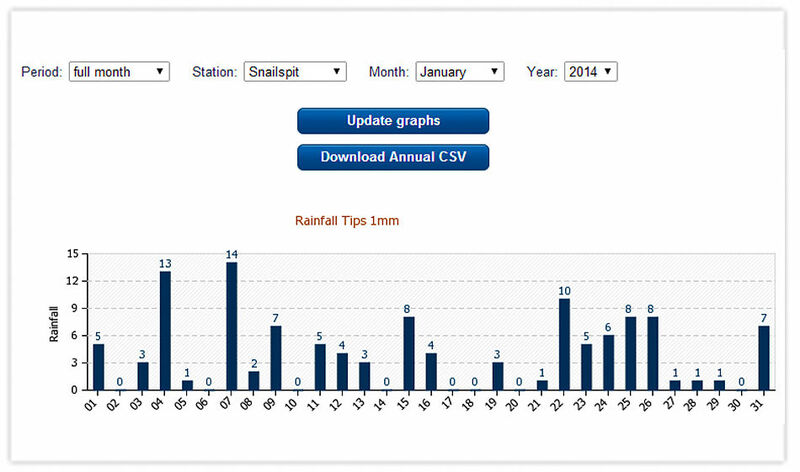 For January it shows us a clear picture of rain almost every day, totalling 119mm. This compares with just 55mm for the previous January but we are very lucky. Although the sun hasn't shone during January, there has been virtually no frost and we are in the driest part of the UK. No flooding here fortunately and the sandy land soon dries out for us.